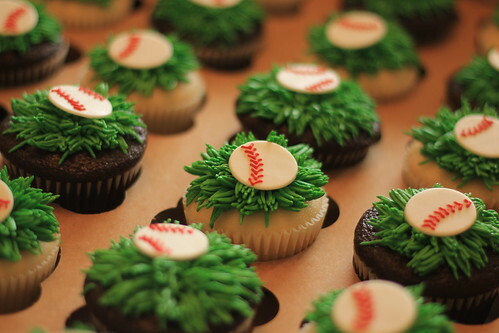 Baseball Cupcakes, originally uploaded by Cakebox Special Occasion Cakes. The All Star Game is tonight and will be at Citifield in New York. These cupcakes have fondant baseballs on grass tip piped swiss meringue buttercream.